Iwata Asks articles are an old favourite here on Nintendo Life, but they've been absent for over a year. In a delightful turn of events, however, a new article has today been posted to coincide with the launch of The Legend of Zelda: Majora's Mask 3D. Satoru Iwata opens by explaining that the articles have been absent due to a variety of factors - while Iwata-san acknowledges his illness, he states that he took a "break from it so I could recharge". He planned the return of the series late last year, and after seeing the hyped online reaction to the Majora's Mask 3D reveal decided it would be the perfect game for bringing the interviews back. It's been worth the wait, too, with some excellent comments throughout the feature. 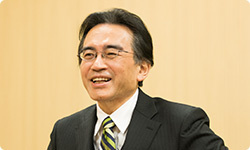 Satoru Iwata was joined by Zelda series producer Eiji Aonuma, Nintendo to Grezzo liaisons Tomohiro Yamamura and Tomomi Sano, and Grezzo project director Mikiharu Ooiwa. As always we've worked through the article and picked out some favourite sections. For starters we have this segment focused on development of the original game. Aonuma-san explains that he was initially supposed to be working on the Ocarina of Time Master Quest (originally planned for the Nintendo 64DD) as a one year project, but secretly worked on new temples before convincing Shigeru Miyamoto to sanction a whole new game. The three-day concept evolved partly out of necessity due to the strict one-year turnaround - this also leads to a humorous anecdote of Aonuma-san resisting Miyamoto-san's attempts to allow an extension to development time. As you can see below, the three-day concept was drawn from another project that was in the works. Iwata: The sun rose, and there was nightfall. The concept of time existed in that game. 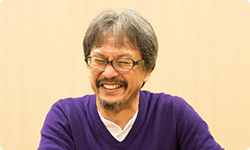 Aonuma: Right, so Koizumi-san told me that he would help me out if he could use that system of time passing to make a game where you would be playing the same moments in time over and over again. Aonuma: (laughs) From there, the "Three-Day System" was born. It's where you would be playing the same three days over and over again. Iwata: You needed a completely new idea to make something in such a short turnaround like one year, and that was the "Three-Day System". Aonuma: Right. But at first, it was one week. Iwata: Three days was originally one week? Aonuma: That's right. But when you returned to the first day it was like "Do I have to go through an entire week again...", so we thought three days would be just right. Next up is our favourite segment, in which Aonuma-san shares the bizarre story of being so immersed in the project that he had a nightmare about being chased by a Deku; uncannily, the next day he was shown the famous cutscene that was reminiscent of his dream. When Iwata-san hears this tale of a terrifying dream that awoke Aonuma-san with a scream his reaction is only natural - he laughs. Aonuma: I suppose. And at that time, I did have a sense that I was being pushed on by something strange. Aonuma: I had a dream about it. Iwata: What kind of a dream was it? Aonuma: It was a dream about being chased by a Deku. Aonuma: I was thinking about an event for the Deku, and have been trying to figure out what to do with it. I thought of it at home, and Dekus appeared in my dream. I woke up screaming! I went to work the next day and that's when (Takumi) Kawagoe-san told me that he finished making a movie for the Dekus, so I had him show it to me....and that movie was exactly like my dream! 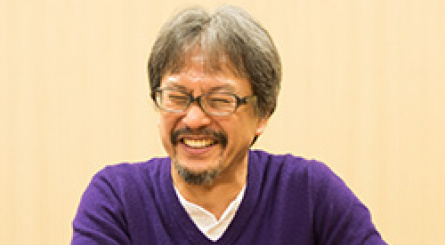 Aonuma: I even told him "how do you know my dream?" (laughs) That's how put up against the edge I was back then. Iwata: Perhaps you were possessed by something. 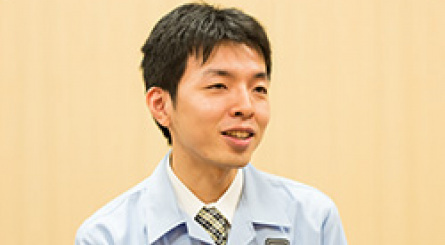 Moving onto a segment focused on the remaster, it's explained that implementing a free camera with the C-Stick was particularly challenging, especially as Grezzo was shown the New Nintendo 3DS relatively far into development. Iwata: But wasn't it hard to add the camera rotation feature after you had reached near the end of the development process? Ooiwa: It was. After all, Majora's Mask has many types of programming that determines the camera controls. Iwata: So it's a system where there are many different types of camera programs depending on the scene? Yamamura: That's right. There are various types of camera programs that adjust to match different scenes like climbing ladders and flying as Deku Link. Even compared to Ocarina of Time, there are quite a number of them. Ooiwa: This is why we had to experiment on an enormous scale of how we could combine the many camera programs with the camera controls of the C-stick. Yamamura: Above that, we needed to consider Link's transformations. The default Link and Goron Link are different heights, so the height of the cameras are different, too. Iwata: So those are the problems you faced when integrating the C-stick. 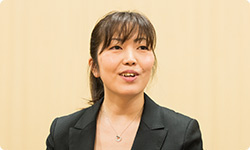 Ooiwa: Right, so unexpected problems appeared here and there, so it wasn't an easy task. Finally, it's been observed by gamers that boss fights feel rather different in the new entry. As you can see below this is deliberate, as they were re-made to be more instinctive and better designed. Aonuma: I've been saying that all of the boss battles are weird. All of them. When you first face a boss, it is natural to start looking for its weakness so you can figure out where to attack it. However, in the Nintendo 64 version of this game, you couldn't see the weaknesses at all. Iwata: This is because you created this game as a challenge for the users to figure it out themselves, right? Aonuma: This would be all right if the users understood this while they were fighting. However, this turned into a game where players won by randomly attacking the boss, without really figuring out what was its weakness. Ooiwa: I personally wanted to fix this too. After I found out we had the same concerns, we reconstructed the battles by focusing on making the objective easier to understand, ensuring that there is the "a-ha" moment for the players, and the strategic elements that are needed to take them down wherever possible. Iwata: So, you've remade every single boss fight? Aonuma: Every single one of them. However, their models are virtually the same as the Nintendo 64 version. 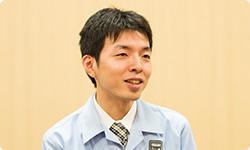 Yamamura: However, the bosses' movements and strategies to take them down have all changed, so it took about the same effort as creating the stages from scratch. 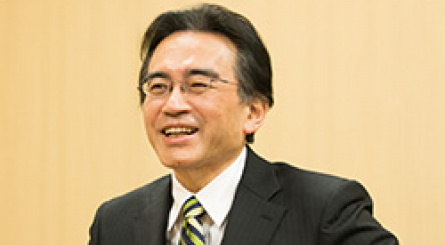 We thoroughly recommend reading the whole Iwata Asks feature - linked below. It's worth it for the laughs, of course, but there are interesting revelations, including the fact that the latest project was in development for around three years as opposed to the original that was turned around much quicker. So glad these are back. This interview made me so much more excited for the remake. Nice, we will have IA for Splatoon, X and Zelda U. I did miss these. (laughs) I'm glad these are back! "I see. I think I learned another reason why developing this game took such a long time! (laughs)" - passive aggressive Iwata. Im the only one who thought iwata is asking people to return majora's mask? @ErnisDy I thought the same thing. Aonuma: My kids are all dead, Iwata, you have to help me! That one dude legit has one of the ugliest suits I have seen in my life, but then, I wasn't around in the 70s. The first time I fought Goht at snowhead in the original, I stayed Link and shot fire arrows at him as he passed by the door area haha but I like how the bosses were not obvious like that. I had to go ahead and read the whole interview even though I'm itching to play the game itself as soon as I'm done typing this. It's really filled to the brim with interesting tidbits, some of which I knew about and others that were surprising, so it was definitely an interesting read both for that and for getting to understand much better the thoughts behind every new feature and change, particularly in Aonuma's case. Have I ever mentioned how Aonuma is one of my favorite people ever? Probably did, but it's worth repeating time and time again. I always felt he's brilliant and the fact he could go back and be so critical towards his own work, especially a project he had a special resolve towards, is the mark of a genius creator. Please do not worry, Aonuma, I can assure you the original Majora's Mask was a splendid game, even if some things can always be improved. @CaviarMeths That's the uniform most developers wear at work at Nintendo. I wish they released these as subtitled videos as well. Sometimes the emotions they convey get lost in the text plus the laughter would be amusing. @LinkSword these interviews are usually pretty good, they are like the directors commentary track on a DVD. @Tazcat2011 Oh I know. I'm not an avid reader of them, but the one for the Ace Attorney x Layton crossover a while ago convinced me they're worth the time. Some great commentary from Shu Takumi there.